Published July 2, 2015 at 1600 × 900 in Tanzania28. 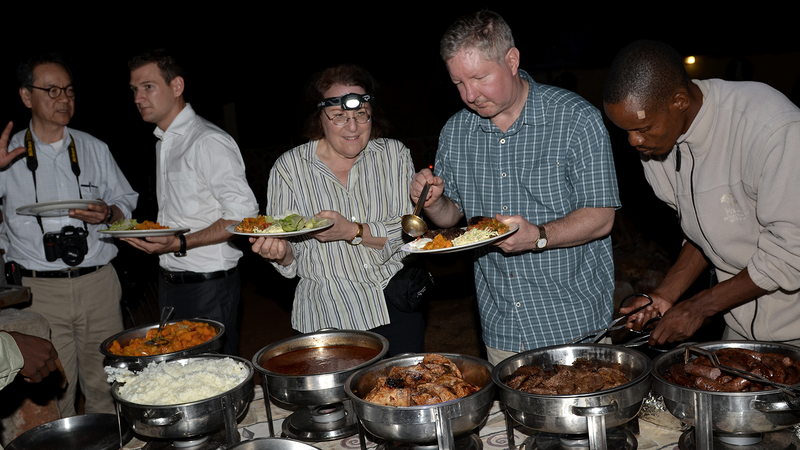 After wildlife sightings, the group enjoyed a braai, a traditional Botswana barbeque. Left to right: Dr. Lee Chin, Dr. Andrew Logan, Dr. Deborah Rose, Michael Walsh, and Mokolodi staff member.